In today’s candidate-driven job market, legal managers often find themselves at the negotiating table with talented applicants who know their skills are in demand. They aren’t just looking for the best salary — they’re scrutinizing the entire deal: bonuses, workplace perks, career advancement opportunities and an organizational culture that fits their values and personality. When it comes to staffing your firm or department, it’s important to understand current employment and salary trends. 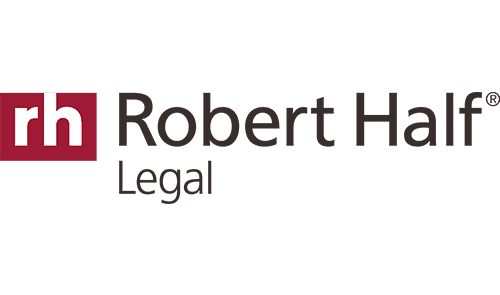 The latest information can be found in the 2019 Robert Half Legal Salary Guide, which leverages data from our network of specialized legal recruiters. Here’s a high-level overview of this all-in-one resource. The demand for all talent is high, but employers should expect even higher competition when seeking specialists. From legal support staff to senior-level attorneys, law firms and corporate counsel offices need candidates with expertise in litigation and commercial law, financial services, technology, real estate, and healthcare. Hiring managers are also eager to bring in professionals with experience in taxes and trusts to aid baby boomers with retirement and estate planning. In anticipation of increased regulations, companies are also looking for lawyers who specialize in data privacy and compliance administration. Emerging technology is transforming the legal field, from research and case management to document review and data security. To help navigate this rapidly evolving landscape, companies and firms rely on paralegals and other support personnel who are adept in eDiscovery, databases, specialized legal platforms and process automation. The demand for paralegals and legal assistants is expected to grow 15 percent over the next decade, faster than the legal services market, according to the U.S. Bureau of Labor Statistics. This suggests employers will need to boost salary and benefits to attract the tech-savvy legal specialists they need to compete in the law office of tomorrow. Although general counsel offices still use legal process outsourcing (LPO) providers, they’re bringing more projects back in-house. This means employers need to add staff — commercial law specialists, contract administrators and litigation support personnel, in particular — to take on the extra work. Flexible staffing is proving to be a boon as a way of handling cyclical and seasonal demands, and legal consultants are assets on occasional projects like workplace investigations and compliance training. Bringing in specialists on a project or consulting basis is also a good way to find full-time employees, as legal managers are able to evaluate these legal professionals’ skills and their fit with the organization’s workplace culture over several weeks or months before extending a job offer. Litigation will offer the greatest number of job opportunities over the next two years, said 59 percent of the lawyers polled for a survey published in the 2019 Salary Guide. Experienced litigators and support personnel are in high demand due to an increased caseload of insurance and corporate matters. Their salaries are commensurately high as well: The midpoint starting salary* for a litigation support/eDiscovery director with 10-plus years of experience is expected to be $128,250. General business/commercial law will be the second most in-demand practice area, largely due to an uptick in mergers and acquisitions and new product development. To meet that need, employers are eager to hire — and willing to pay well for — legal professionals with experience in compliance and contract administration. For example, companies should prepare to offer a compliance manager with seven to nine years of experience a salary midpoint of $93,750, while a contract administrator with one to three years of experience are expected to earn a median of $60,000. *A midpoint starting salary refers to compensation for a candidate with average experience and the necessary skills to get the job done. The role will likely be of average complexity or in a market where the competition for talent is moderate. To attract and retain legal talent, get to know the employment and salary trends for 2019. Download the Salary Guide for an even more detailed look at what you can expect in the coming year.